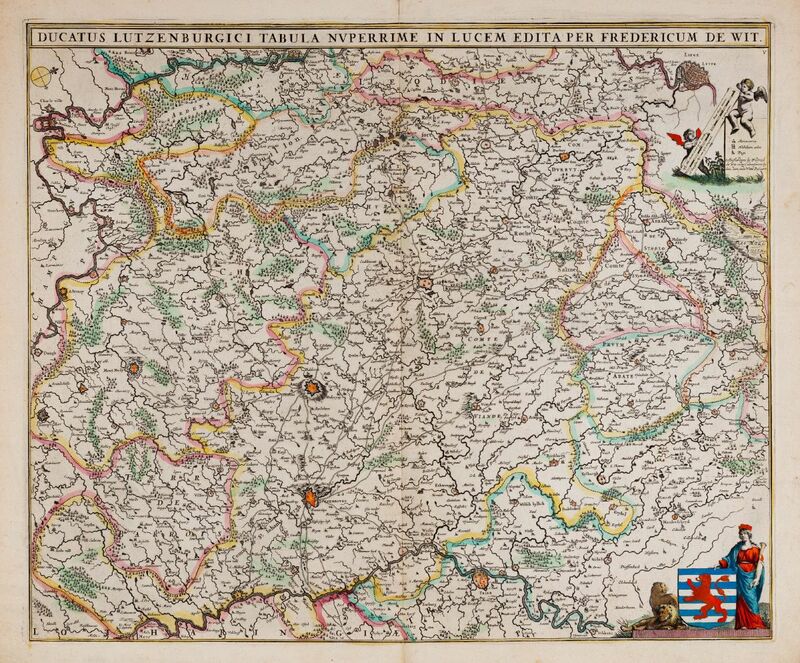 Old coloured map of Luxembourg. Printed in Amsterdam by F. de Wit circa 1680. 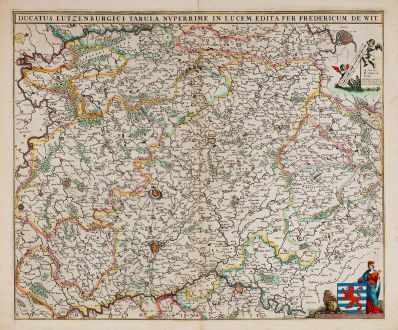 Antique map of Luxembourg by Frederick de Wit. In the east the Moselle from Metz to Trier, in the west the Meuse with Charleville-Mézières. With Liège, Arel and Bastnach. Decorated with coat of arms and a mileage scale. Centrefold backed at upper and lower margin. Very good condition with beautiful old colours. Frederick de Wit, born 1630 in Amsterdam, was a famous engraver and publisher in Amsterdam. He acquired many of the printing plates of Blaeu and Janssonius when it came to auction. 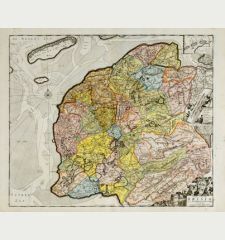 His map were very popular because of the quality of the engravings and the beautiful colouring. After his death in 1706, his work was re-issued by Pieter Mortier and Covens & Mortier. 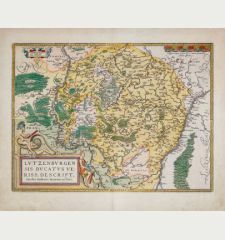 Frederick de Wit: Ducatus Lutzenburgici Tabula Nuperrime in Lucem Edita.